From chic symmetry to nature-inspired futurism, fireplaces have evolved from earthy hearths to state-of-the-art conversation pieces. 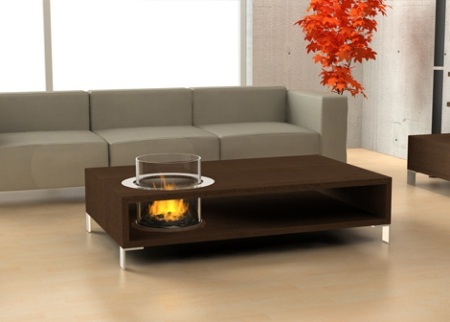 Glass, metal and remote control gas take on an eco-conscious dimension as log burning is relegated to the ash heap. 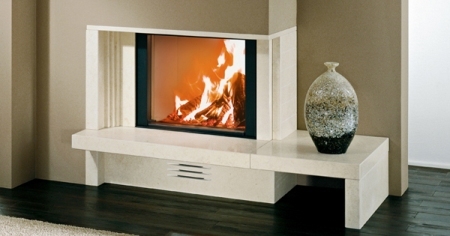 Inspired by nature, the floral chic marble surround of this fireplace combines serious and frivolous elements. Both austere and fun at the same time, the rectangular shape makes for plenty of fire space and eye candy at the same time. 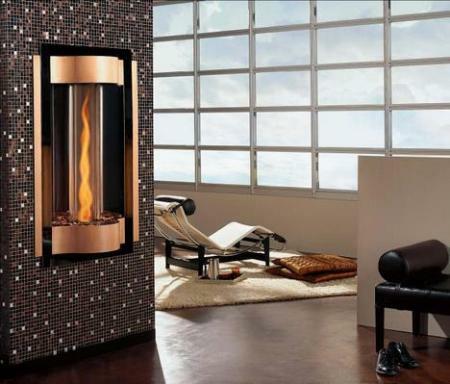 Made entirely from brushed Silva Oro, this semi built-in chimney fireplace contains the heat inside transparent cover, creating the illusion of a lively television screen. 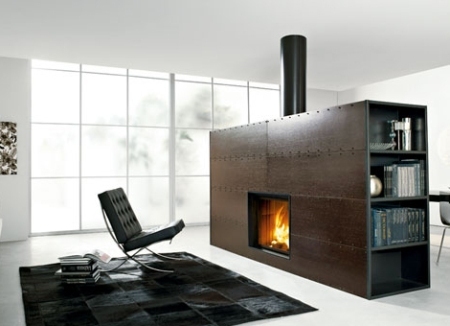 Fret no more, if you don’t have a chimney and want the possibility of fire in every room during winter. 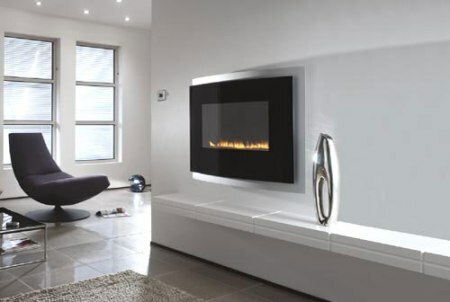 This smokeless fireplace, ignited by means of a weather-resistant powder coating, has a magnetic glass frame which enables the size of the flames to be regulated from the outside. Enclosed by a large, curved window, the flames in Austroflam’s futuristic invention seem to burn forever. A heat memory system ensures that fuel consumption is reduced and heat stored for longer than most. 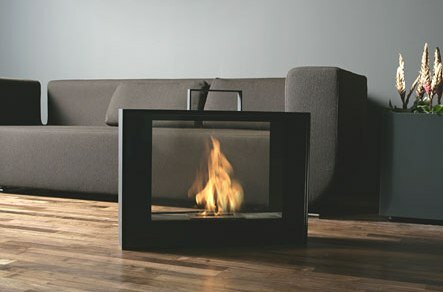 Designed by Gido Wahrmann for Carl Mertens, this diminutive hearth is a clever mimic of two lighted logs. 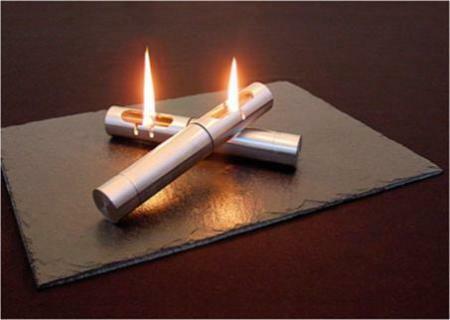 The ‘logs’ are tiny stainless steel lamps, mounted on a 10″ x 14″ slate base, and the flames use oil for fuel. Whoever thought campfire songs couldn’t take place round the dinner table? 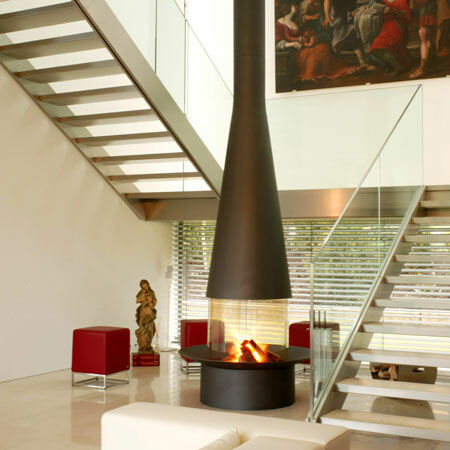 Using wood or gas as a medium, this stylish open glass fireplace is designed to open the mind and expand living space stylishly. 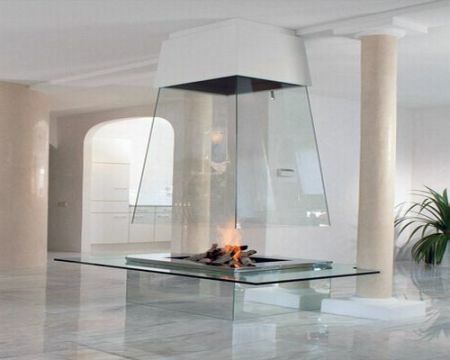 Enclosed by four glass panels to eliminate smoke in the atmosphere, the fireplace can be turned on and off by remote control. 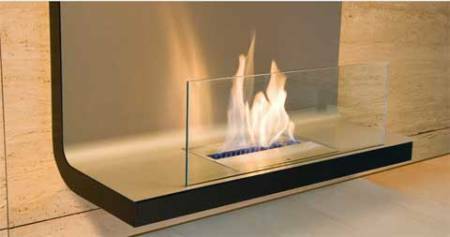 The gas burner has three safety stops, a regulated lighting system at the base and a glass plateau with a mirror underneath. Simple and Zen, this design comes in pyramid or rectangular shape, with clear or tinted glass. For the ultimate in functional modernity, check out Edilkamin’s three geometric designs: the Art Acciaio, the Art Wenge and the Kubik. Solid and simple, each fireplace is integrated as focal point into a furniture unit as effortlessly as the storage shelves which complement it. Choose according to the mood of your room: while the Art Acciaio has a coating of satin steel, the Art Wenge is entirely covered in wenge wood and the Kubik has a painted surface of steel grey anthracite. 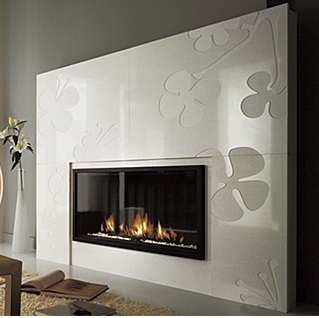 A mesmerizing cross between a natural and synthetic fire, the Cyclone Gas Fireplace makes the fire a key decorative element of the home. 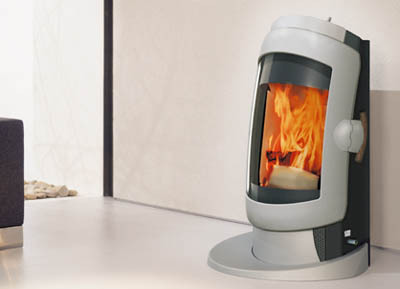 Emitting only 15,000 BTUs, the Cyclone Gas Fire is both fuel-efficient and practical, while offering a unique twisted flame display at the same time. 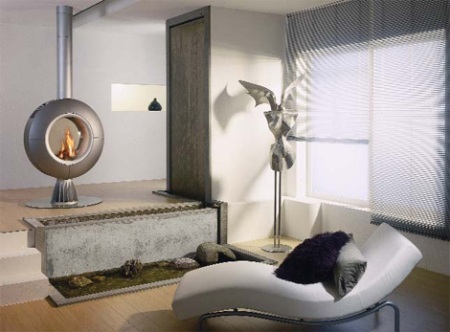 Emulating a plasma television screen, Radium and Scandium catalytic vent-free gas fireplaces are especially designed for lofts or rooms where ventilation can’t be installed. 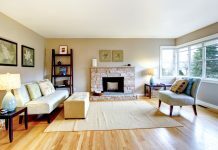 Using catalytic converter technology, which means hot air is cleaned as it leaves the combustion chamber, these slim vent-free gas fireplaces can be installed anywhere where a gas line is available. 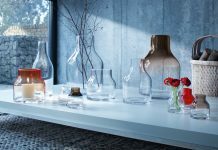 An immaculate example of fire without smoke, the portable Planika contains flickering flames in designs of glass to create an inspiring focal point in any room you choose. Made of double-skin stainless steel, with a ceramic sponge in the middle, this patented combustion chamber creates a large, even set of flames and ensures that the very last drop of bio-ethanol burns. 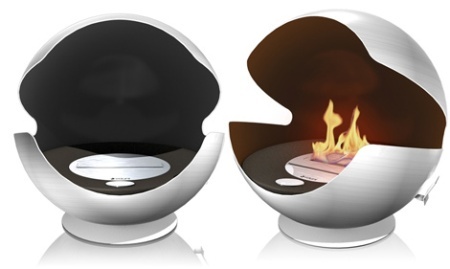 A glorious indoor take on the campfire, Greed For Quiet is both a fire pit and piece of furniture. Surrounded by wood planks supporting five chairs, the star-like design creates the impression of floating. 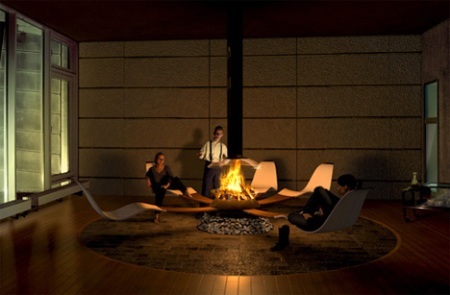 Each “chair blade” is able to rotate around the fire pit to a desired position. 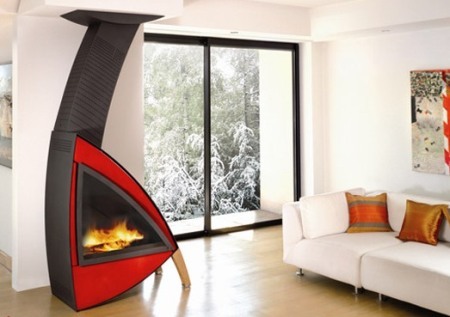 The focal point, which doesn’t look unlike a giant fondue, is fitted with a chimney piece to ensure all the smoke is eliminated.